My refrigerator is filled with open cans of cat food, one spoonful taken out, each encased neatly in a sandwich bag. Offerings to a sick—now well—cat. Each refused. Adopted kittens should come with a warning label: once you offer the smelly, canned stuff, they’ll starve themselves before eating dry kibble. Charlie was perfectly chipper, although on the skinny side, before her yearly checkup and shots. Then, two days later, the dish with dry kibble was untouched. A flurry of vet visits, calls, pokes, and blood tests, always with a flashing credit card, ensued. She still wouldn’t touch the dry kibble, but thought she might be able to bring herself to tuck into the $2.50 a can vet variety of Good Stuff. She started again to eat and over a matter of days felt Much Better. Then this morning with reasons known only to cats, the $2.50 Good Stuff didn’t look appetizing anymore. Only the cat food from the pet store would do–which we were out of. But this is it. My final trip to the Pet Store for canned cat food. You black-and-white-adorable-shorthaired-domestic-tuxedo cat have got to again embrace Kibble. Food in a bowl, dump it in in the morning and have at it. Which brings me to Picky Plants. I simply must stop this swooning at the plant nursery. Take me home, whispers a maidenhair fern. All I require is perfect soil and constant moisture. Some very organized people have—and actually keep notes in—a garden journal. Mine would be filled with Did I Really Fall for That Again? plants. Since working at the Earth-Kind®/WaterWise Demonstration Garden, my plant choices have gotten more savvy. Need a splash of blue in my landscape? 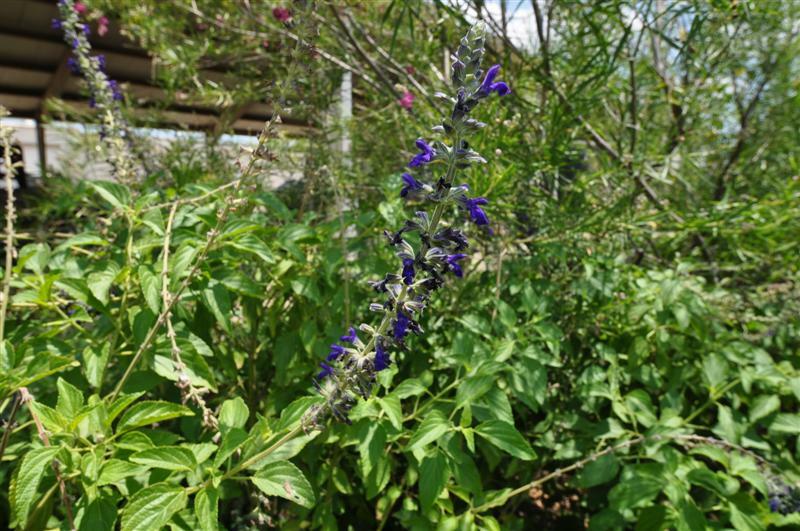 Look to Henry Duelberg or Indigo Spires Sage found in the Wildlife Habitat Garden. 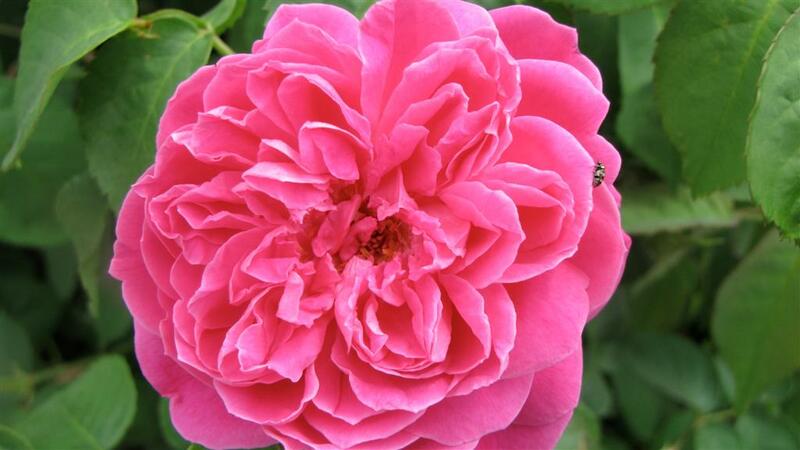 Or lovely roses that bloom profusely and rarely get blackspot? Belinda’s Dream, Maggie, Perle d’Or, or La Marne fill the Rose Trellis Garden. Or a fun little fern that will love the dry shade under my huge red oak? Wavy cloak fern is thriving in the Shade Garden. The Demonstration Garden is a wonderful source of plant ideas. It’s filled with more than 70 trees, shrubs, perennials, annuals, and roses perfect for low-water yards in North Central Texas. Come visit us! Posted in Earth Kind Roses, Salvia, Water Wise, Wildlife Habitat and tagged Dallas County Master Gardeners, dallas gardens, WaterWise gardening. Bookmark the permalink. I meant to say, I love THIS blog! Elizabeth, We are so glad you are following it and hope to keep inspiring gardeners in Dallas!